Give your holidays some feline fanciness with this fat quarter bundle! Nothing goes together better than cats and Christmas! 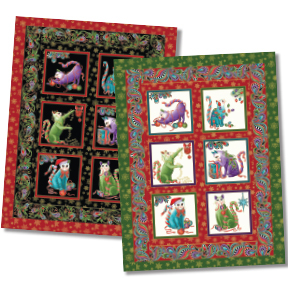 Celebrate our furry friends with bright tinsel colors and fanciful felines in this collection. Contains 5 fat quarters measuring approximately 18" x 22" each.